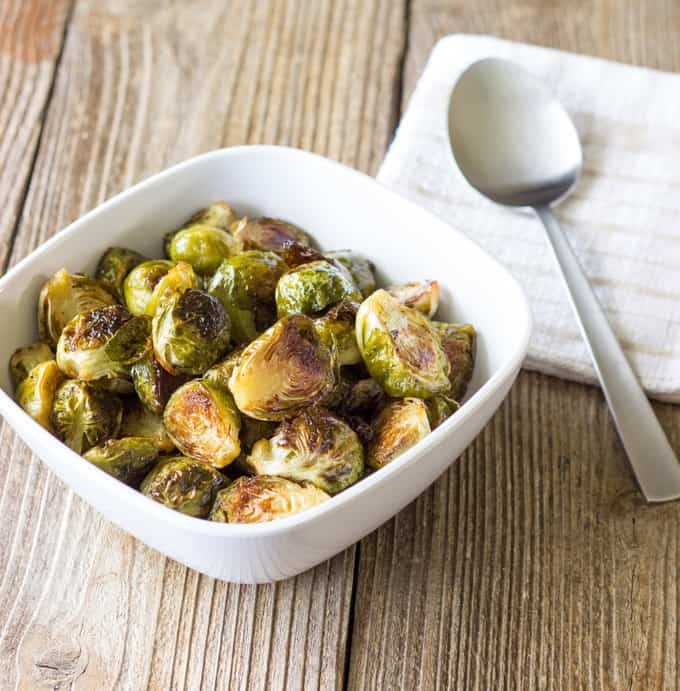 Maple Syrup Roasted Brussels Sprouts – This is the best Brussels sprouts recipe ever! Sweet maple syrup with crispy roasted sprouts. These are easily the best Brussels sprouts that I have ever eaten. 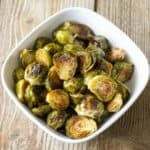 Roasting Brussels sprouts makes them tender with a bit of crispness around the edges. 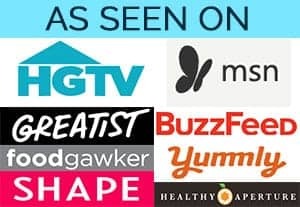 It also brings out their natural sweetness. 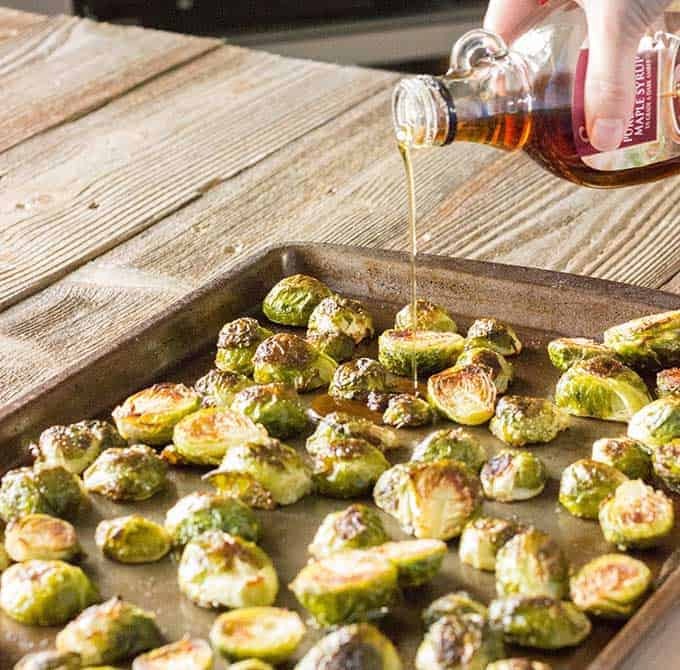 Adding the sweetness of maple syrup to roasted sprouts makes them out-of-this-world good! 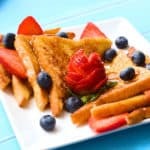 You will love the sweet and salty flavor combination in this dish. Trim the stems and wilted outer leaves from the Brussels sprouts. Coat the sprouts in olive oil, salt, and pepper. Spread them out evenly on a baking dish. Bake for 25 minutes, flipping the sprouts over once during the cooking process. If you don’t think you like Brussels sprouts, try these. I bet you’ll change your mind. 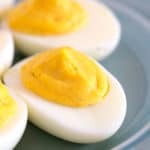 Try these other easy side dish recipes. 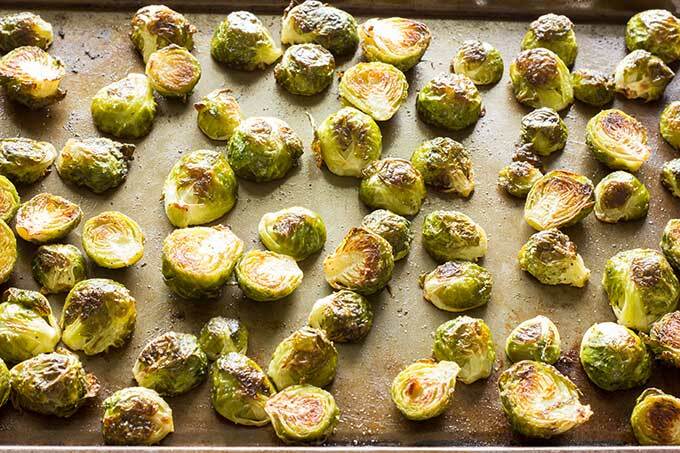 Watch the step by step recipe video for Maple Syrup Roasted Brussels Sprouts below. Maple Syrup Roasted Brussels Sprouts - This is the best Brussels sprouts recipe ever! Sweet maple syrup with crispy roasted sprouts. Trim the stems of the sprouts. Remove any outer leaves that are wilted. Cut the sprouts in half. Add the Brussels sprouts, oil, salt, and pepper to a large bowl. Toss to fully coat the sprouts. 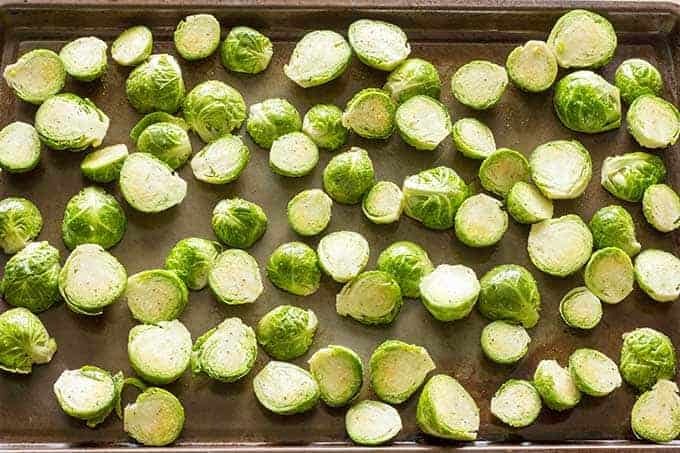 Spread the sprouts onto a large baking sheet in a single layer. Roast for 15 minutes. Stir the sprouts, trying to flip over as many as you can. Drizzle the maple syrup over the sprouts and stir to coat. Roast for 8-10 more minutes. I believe I will try this. I have not had brussel sprouts that I really liked but I think this might change my mind. yes, I add cooked bacon too! Delicious! I am fixing this today. I’m sure it will be delicious. 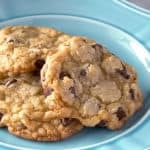 I have made this recipe countless times since I found it last year. I’ve even gotten my extended family to start making it too. My mother even serves it at her inn in Vermont. Love it! Chez Sanderosz, Just curious where in VT your Mom’s Inn is. I love in VT. I also love this recipe for brussel sprouts! This looks amazing! Can’t wait to try it tomorrow! I might add apples to it–I bet they would complement the sprouts. Can I do them ahead and then reheat? 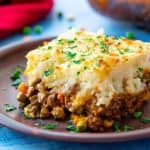 Can this be prepared ahead of time? 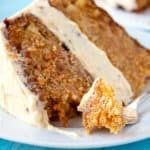 Can I make ahead then reheat at dinner time? These are really great. Like I can’t stop eating them because they were so tasty! My hubby and two preteen girls get excited about having them for dinner! For real! As hubby was taking more to put on his plate he’s saying, “I don’t even like Brussels sprouts! 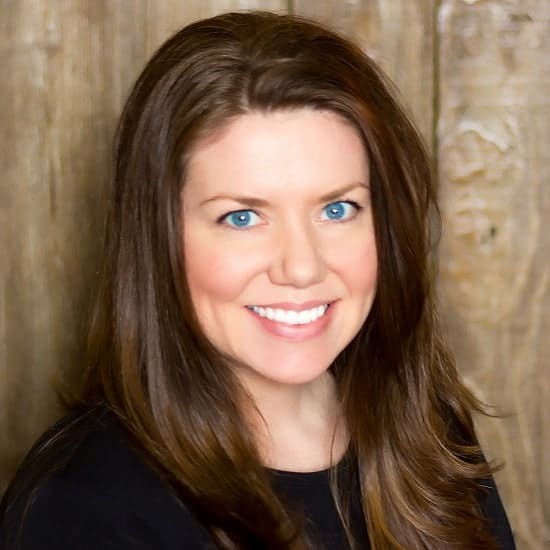 !” Sometimes I add a little balsamic vinegar or balsamic sweet glaze to the maple syrup, and a little sprinkle of cayenne for a spicy kick.